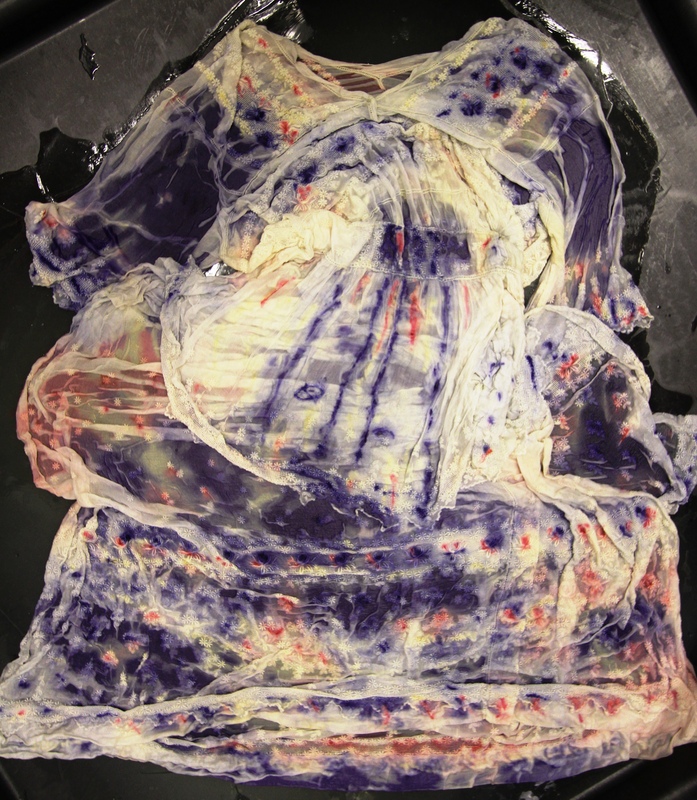 Inspired by Bacterial Wargames, I’ve started exploring the interaction of pigmented bacteria with textiles again, with a view to making a brightly coloured dress using only bacteria from the human microbiome to produce the colours and design. 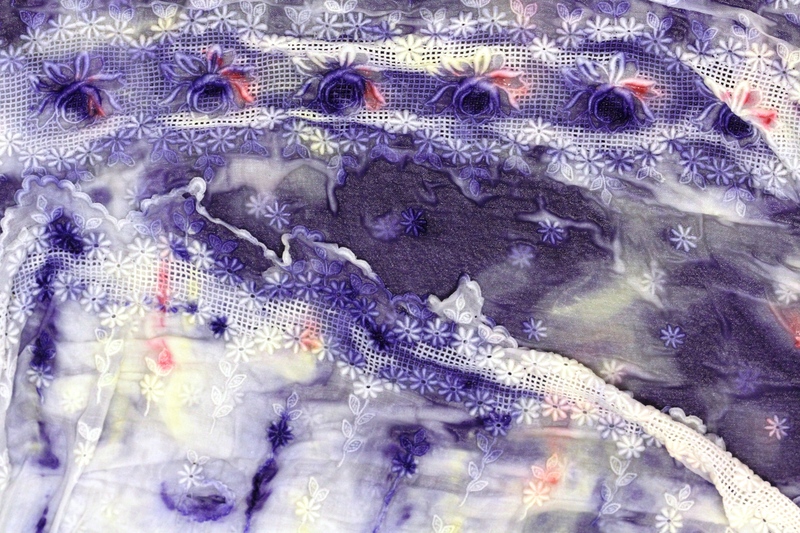 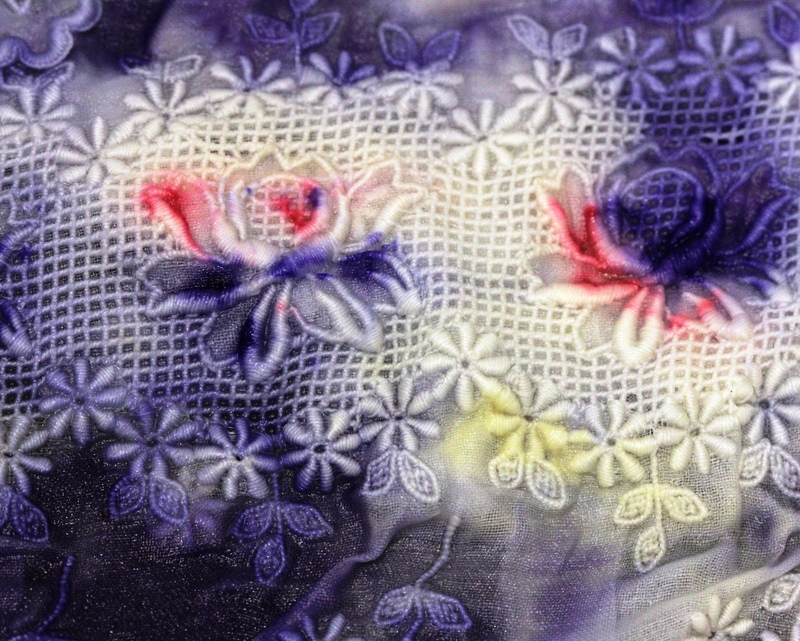 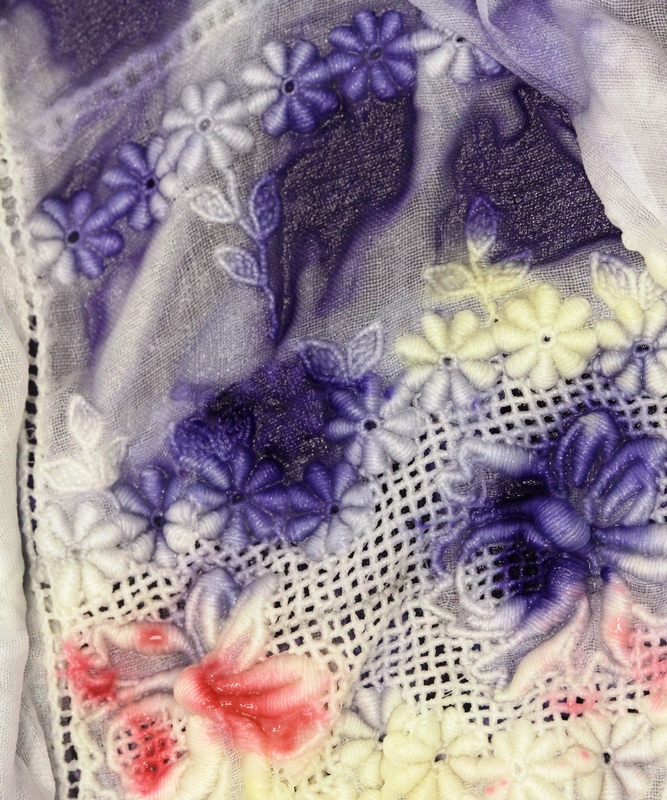 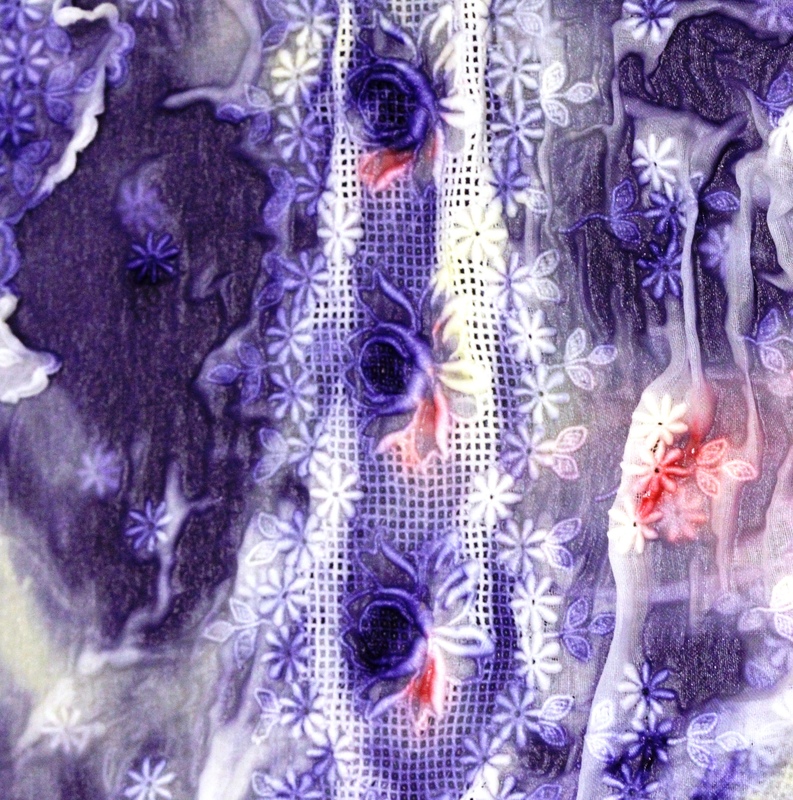 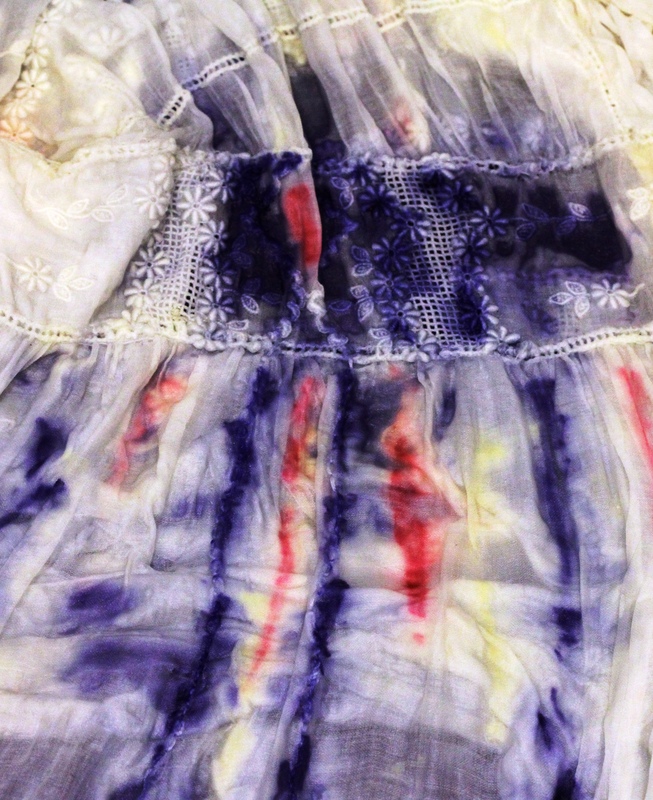 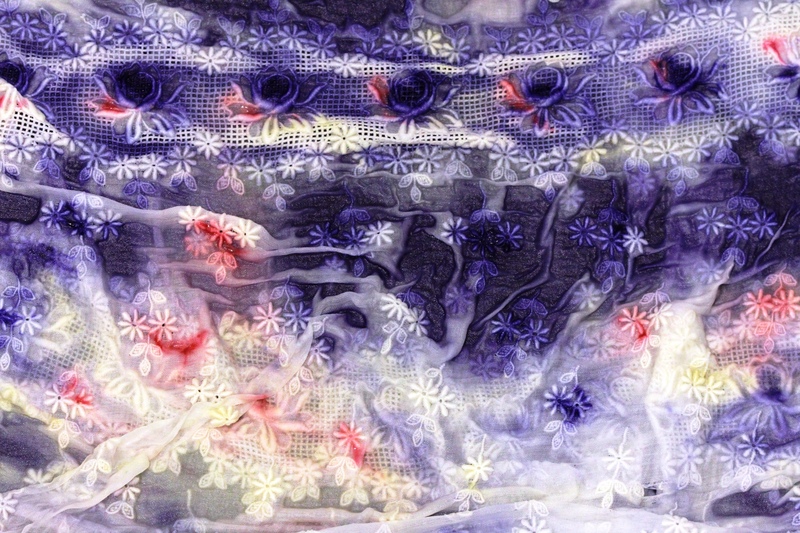 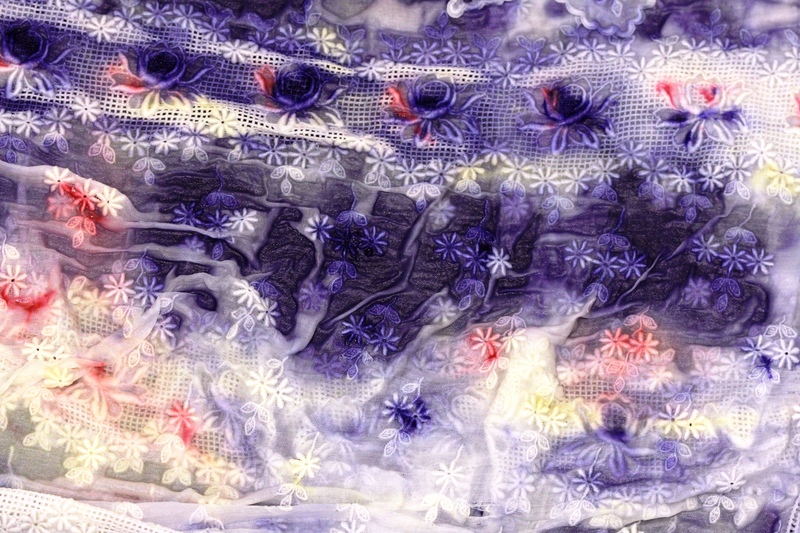 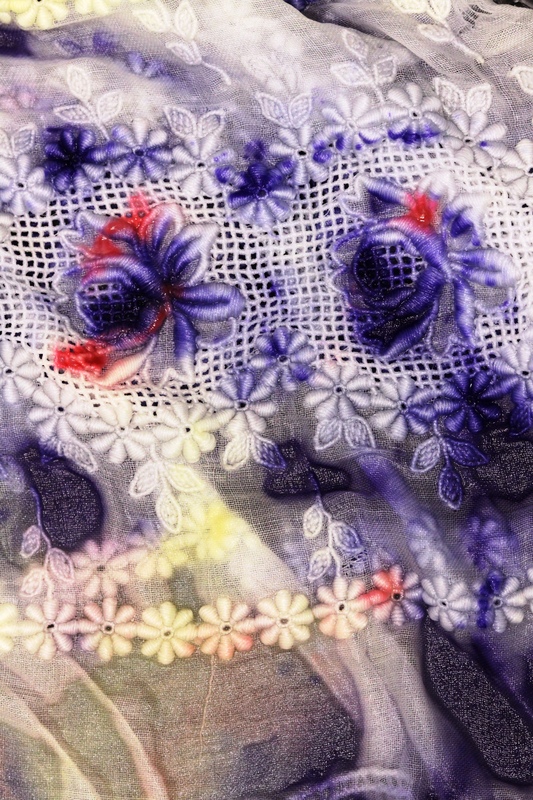 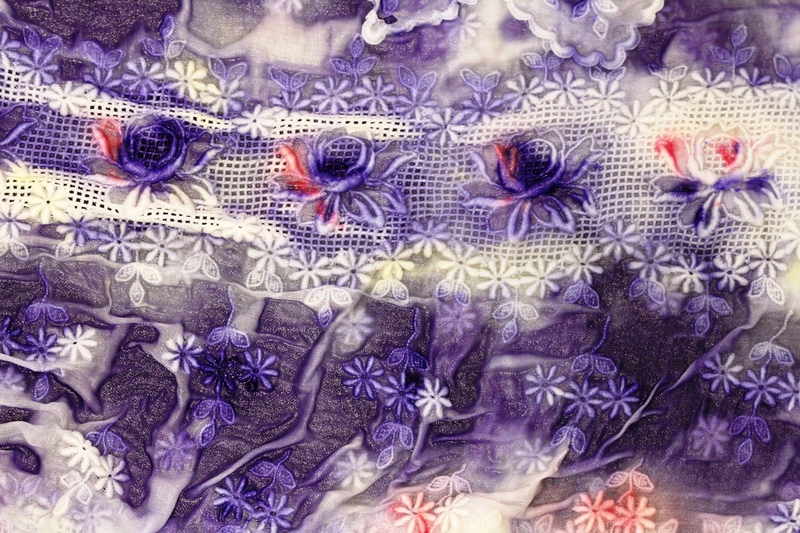 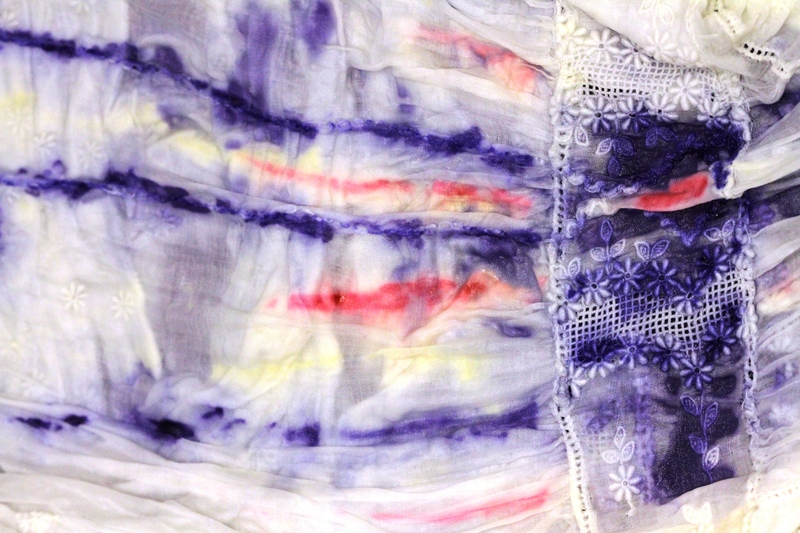 I came across this old project that I had with artist Anna Dumitriu, a white embroidered dress in which the colours are due to pigmented red and purple bacteria. 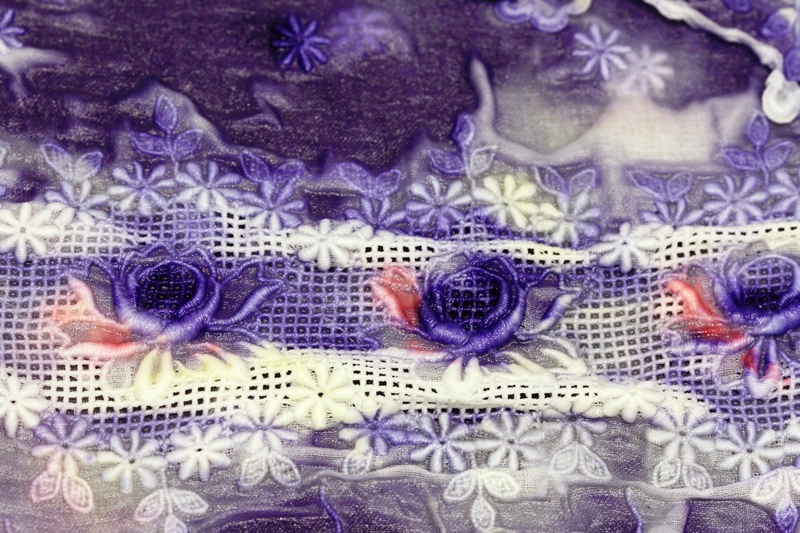 I was struck by the way in which the bacteria infiltrate the intricate shapes, and give them an unexpected life.